You must make reservations at least 5 minutes in advance of the time at Eddie V's - Scottsdale Quarter. Join us at Eddie V's in Scottsdale and let the comfortably sophisticated environment, sparkling atmosphere, and sounds of live jazz that fill the air set the tone for an exceptional dining experience. Choose from a varied selection of the finest seafood available, or indulge in our critically acclaimed prime center cut steaks, aged 28 days and broiled to perfection. Complement your meal with a selection from our wine menu — an award-wining list of more than 200 wines curated by our Master Sommelier. If a more relaxed experience is desired, visit our V Lounge where you can sip classic and creative cocktails, and enjoy signature appetizers against a backdrop of soulful jazz and seductive lighting. 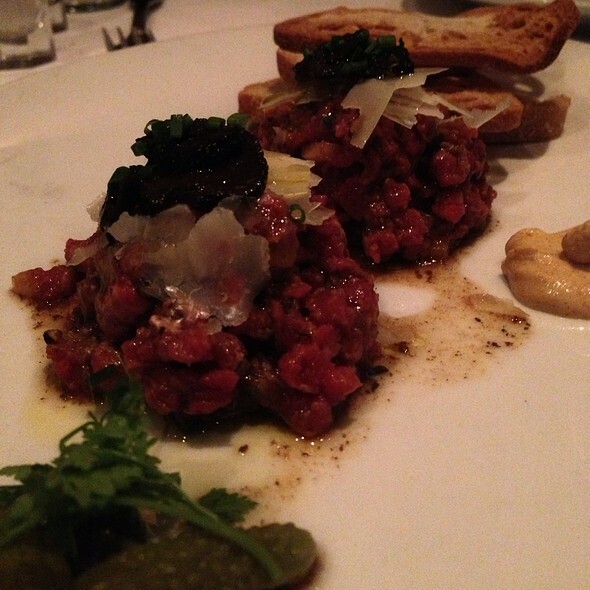 Whatever the occasion, from a quiet weeknight dinner to a special private event, let us handle every detail. We'll do the work. You bask in the glory. This is one of very few that is our favorites. We go for the crab cakes. We have Maryland roots and speak with experience, when we say these are the best ever. The evening overall could not have been more pleasant. Service, Food, Ambience were all top notch!! Well worth the money, excellent service, food and atmosphere. Great Jazz trio playing in background. special spot in Scottsdale,consistently spectacular! Once you get done with the hostess reception it’s great. They were rude and not friendly. Needs improvement. After that everything was fabulous. My waiter was awesome. I was impressed. All their fish is fresh flown in daily. The Halibut may have been the best I ever had. All service was impeccable. I was treated to a birthday bananas foster butter cake and it was incredible after my meal. This was by far one of my best dining experiences and I’ve been to many fine restaurants. Edwardo is an outstanding server. Food quality excellent. Very enjoyable. Excellent food, edit staff and ambience, however a little noisy so makes conversing a little tough. We sure enjoyed our meal last night at Eddie V’s!! The service was ‘over the top’ superb and the food was a ‘10’. Eddie V’s did not disappoint. I especially liked the mood lighting and classy environment. Service is the key, Great food and timing by our server Jim!! We will be back!! What a fabulous experience!!! There were 4 of us. It was a part business/part leisure dinner. The food was unbelievable! We had a backwards dinner and started with the bananas foster butter cake... because it is the best dessert I have ever had! We all had steak and it was done to perfection! I am not a fan of crabcakes, but the table ordered one and it was really good and I liked it! 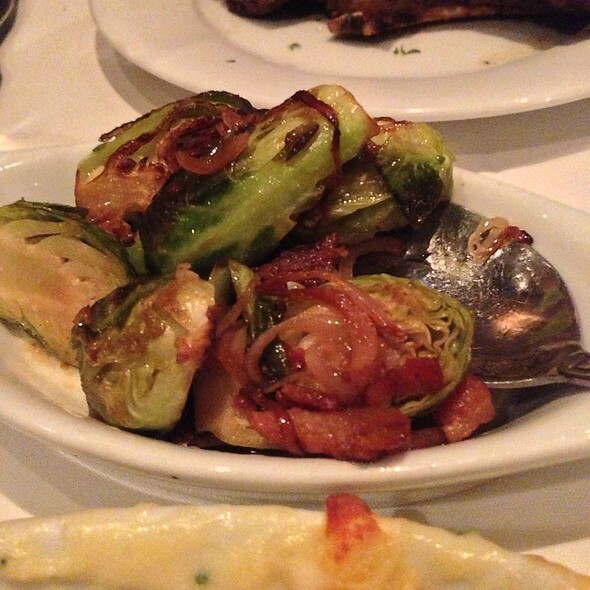 The lobster mashed potatoes were amazing and so were the brussel sprouts! Although the food was delicious, the best part of the dining experience was our server, Jim! He seriously was the best server I have ever had! When in Arizona, and we visit the restaurant again, we will always ask for Jim. Another wonderful dining experience from the outstanding entrees to the delicious cocktails to the excellent service they treat you like s valued guest! We love Eddie V’s! Onna was excellent. The food was outstanding and my favorite dish was available, the music was great, and it was a thoroughly enjoyable evening. Have been here several times, always sit in the bar/lounge area and have gotten great service from Onna. 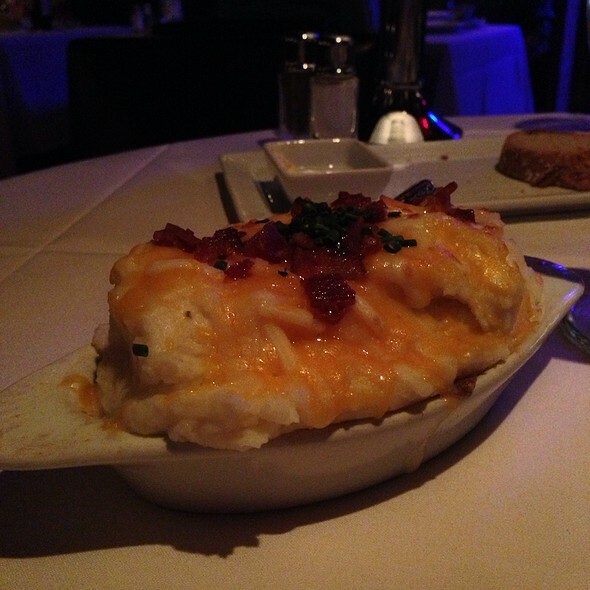 The food, drinks, atmosphere, and service are very, very good and always consistent. Great friendly service. 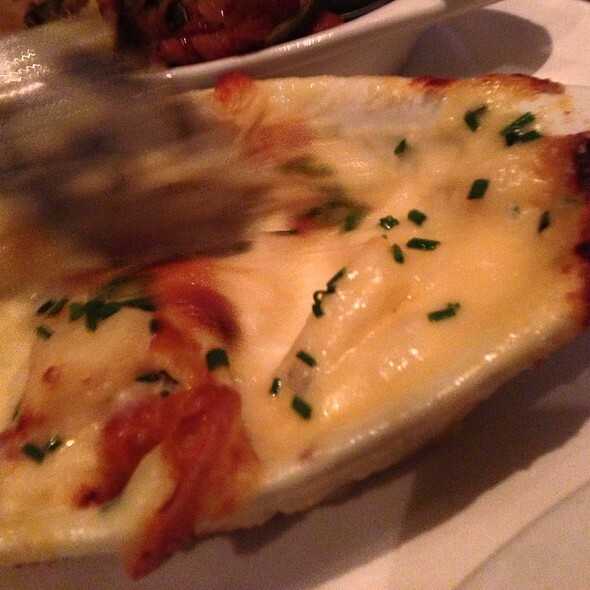 The lobster mashed potatoes were very yummy. The sea bass was my favorite! We also got the calamari and yellowtail sashimi and both were excellent. Would definitely come back again. Fantastic restaurant. The food is excellent. Salads are generous and delicious. I had the sole which was wonderful. Very classy place. Wonderful meal and outstanding service. Better than the Manhattan Ocean Club in NYC. Had Briny fresh delicious Chincoteague Oysters on the half shell, moist flaky halibut in a miso broth, cold crisp Caesar salad with thin slices of Parmesan cheese and anchovies. The service was first class. Great overall experience. Will go again. Great selection of seafood. I had the Chilean Seabass and it was tender and flavorful. I wouldn't recommend this place for a steak dinner. 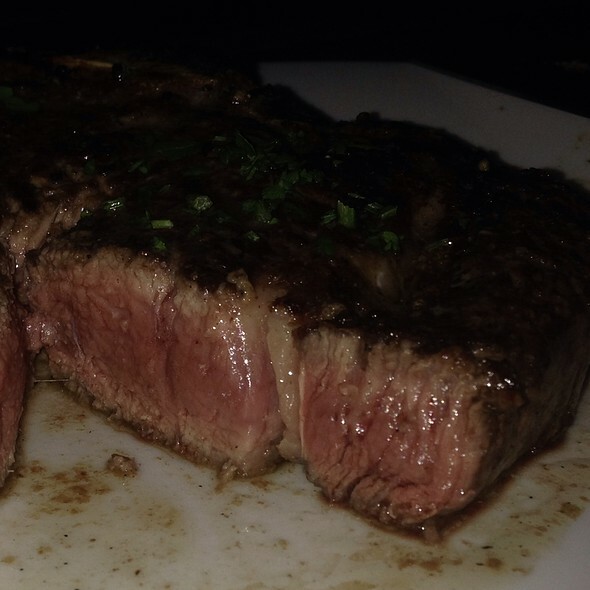 My boyfriend had a rib eye and even though it was flavorful and tender, it was slightly over cooked. They make one of the best Old Fashioned cocktails that I've had. I recommend that. They make them with Basil Hayden which is one of the best bourbons to use in my opinion. Atmosphere is polished, comfortable and relaxed. Love this place overall. Exceptional service and the bone in fillet special was one of the best steaks I’ve ever had. Pretty good considering they call themselves a seafood place! The waiter was patronizing, always recommending the most expensive items on the menu. The branzino was way too oily. The rice and crabmeat ( highly recommended) was very rich. 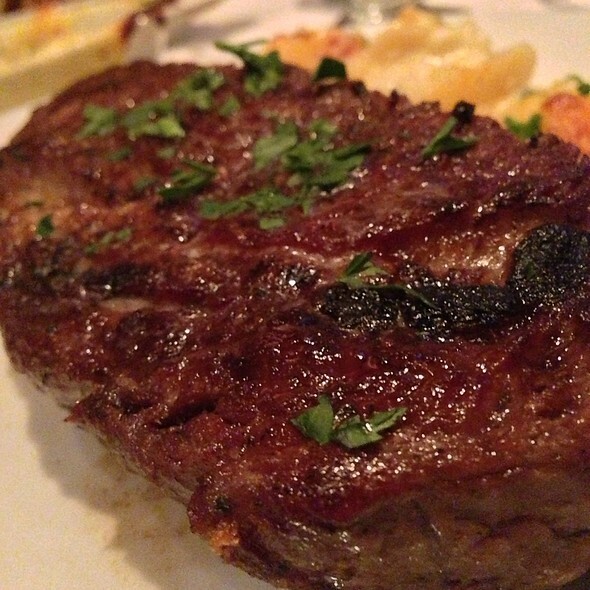 If you want steak, maybe great - if you don’t, nothing special. Birthday dinner. Food was great and good portions. Prices are on the high end but that was expected. Would go here for special occasions. Loved loved our meal at your restaurant and telling everyone to make sure to visit you. First how I enjoyed to have first a tablecloth on the table, waiters all well dressed and very pleasant. I also appreciate for the manager to come and talk to us. You have class above everybody else too bad there is none where I live. Hoping you will establish in Seattle area. Always the best. People are so nice, food excellent. A great eve for a birthday event. The crab cakes are the best ever. 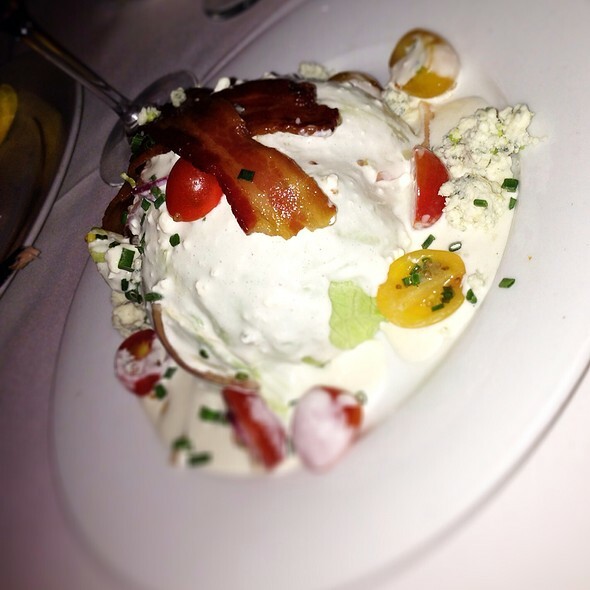 Exceptional service, excellent food, generous portions. This is one of our favorite special occasion restaurant. The food and wine are on the pricey side but I never leave their feeling ripped off because the quality and service are so good. I will go back again and recommend it to anyone for a fine dining experience. It was a Friday night and the restaurant was crowded. That did not impair the food and service qualifies. Our server, Eduardo, was knowledgeable and efficient. My wife had a bone-in filet that was delicious. She gave a sample to our grandson who pronounced it was the best he had ever tasted. The fish and chicken entrees for the rest of us were also excellent. A very nice birthday treat was provided for our grandson. Incredible. Crab cakes and Sea Bass were both delicious but sides might be the highlight. Great choice for a special meal. My wife and I came for our 21st wedding anniversary. I had local florist deliver flowers and they were on the table when we arrived along with rose petals spread on the table. She was quite impressed. From the hostess to waiters, everyone knew it was our anniversary and said "happy anniversary"... another nice touch. I can't say enough about the food. While pricey...it was well worth it. The "shellfish tower" was a sight to see and included lobster, crab, shimp (big ones!!) and oysters. Wow! We both ordered steak. My wife's bacon wrapped filet "Oscar" disappeared before my eyes. My prime bone-in strip steak was so tender it cut like butter. I had to take some home. The gave us a free butter cake banana's foster dessert to celebrate our anniversary. Can't say enough about this place. Certainly won't wait another 21 years to visit again. And ask for Nico.... he was our waiter and he was great! Visited with family to celebrate my birthday. The staff were very courteou. Petro one of the managers came by to thank us for coming and wished me happy birthday. I regreat that I don't recall our waiters name but he did an excellent job and had a nice pace of service. On of the waitresses noticed I had been given a bouquet of flowers and asked if she could place them in water until we were ready to leave so they would not wilt. There were six in our party and we ordered a variety of entrees. We started with the calimari which is large large serving and we love the Kung Pao sauce. The prime NY steak and Ribeye were outstanding, one of best we have tasted in the area....of course as family we shared tastes of the different entrees. 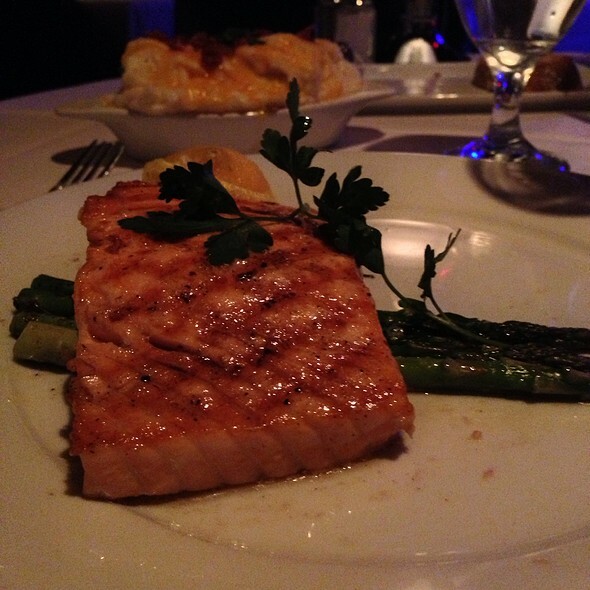 We had several different seafood entrees: Mediterranean Branzino, Alaskan Halibut, Parmesan Sole and Ahi Tuna. My only complaint was that the tuna was a little stringy and i didn't really care for the Bonito Broth which was on the fishy side. Of course we also had drinks and wine....the wine list is extensive and prices for everyone. 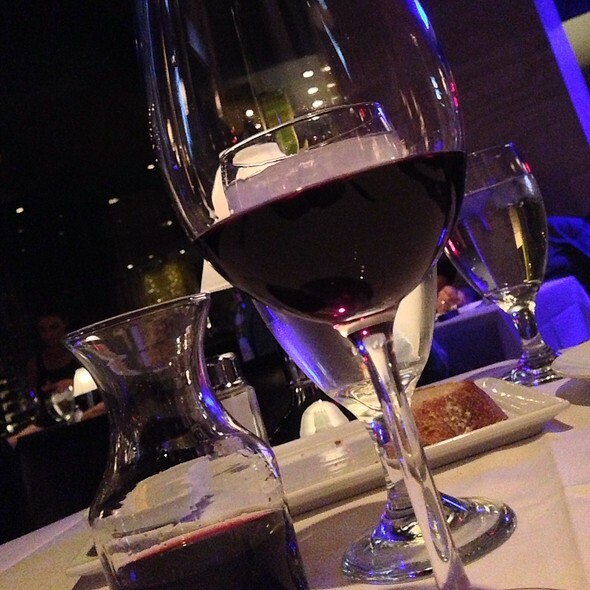 Eddie V’s in Scottsdale delivers excellent food and service for a special night out. It is pretty much the formulaic steak house experience with emphasis on fish dishes as well as steaks, but they really do a better job than most. Only quarrel I have with the restaurant is they do live “lounge singer” music in the bar and it permeates the entire restaurant. Really detracts from an otherwise classy atmosphere and if you don’t get a table strategically located to shield you from the noise you may find it hard to talk and enjoy yourself.